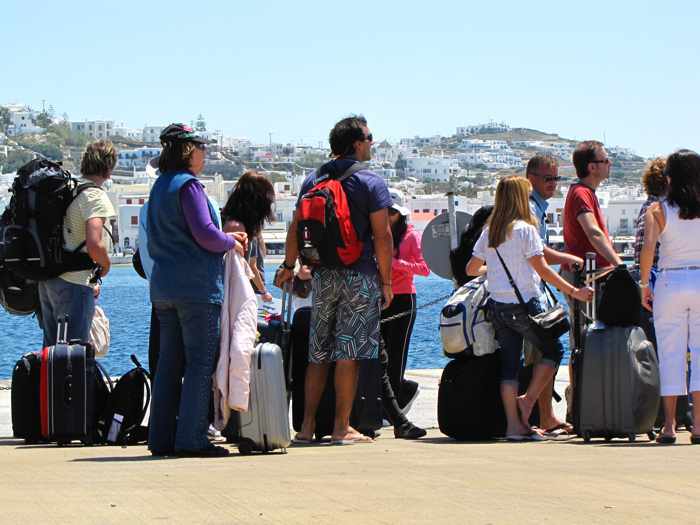 Boom town: Many of the tourists who visited Mykonos last summer must have been wondering why they didn’t see obvious signs of the economic crisis that has ravaged the country for more than five years. 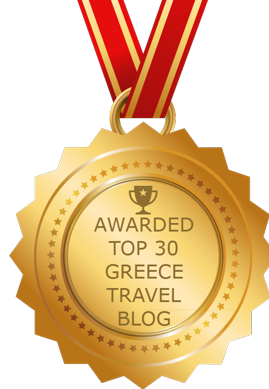 Seemingly unscathed by the financial problems that have plagued the rest of Greece, Mykonos was absolutely thriving in 2015, with more than 100 new travel-related businesses opening up on the island last summer alone. The unprecedented renovation and building boom saw the arrival of new hotels, restaurants, bars, shops, galleries and personal services, many of which were aimed at the island’s rapidly growing luxury travel market. 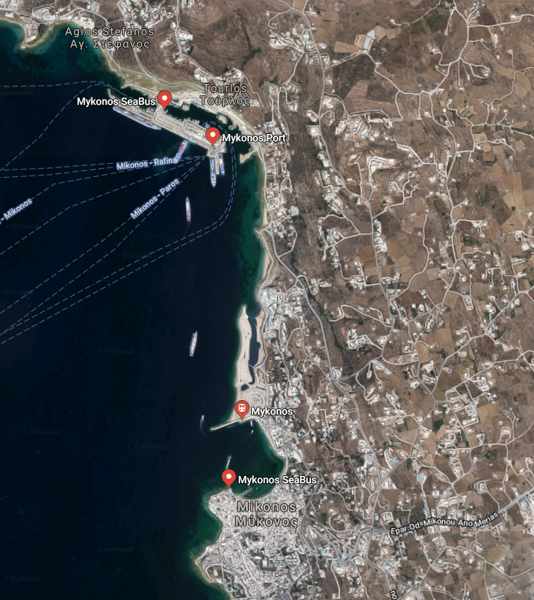 It would be hard to top 2015’s astounding array of brand-new businesses again this year, but recent announcements about more upcoming new openings suggest the resilient Mykonos economy is poised for even further prosperity and growth. So far there have been announcements on social media to herald the imminent debut of several new restaurants, retail shops, beach clubs, hotels, bars and nightlife venues, while rumours abound that many more are in the works. Please click on the link below to read about the new businesses that have opened or been announced so far. I will update this post regularly as I receive more information about the newcomers. Located at Tourlos, just a short walk from the New Port, Cayenne is among dozens of brand-new businesses on Mykonos this year. “Crisis? 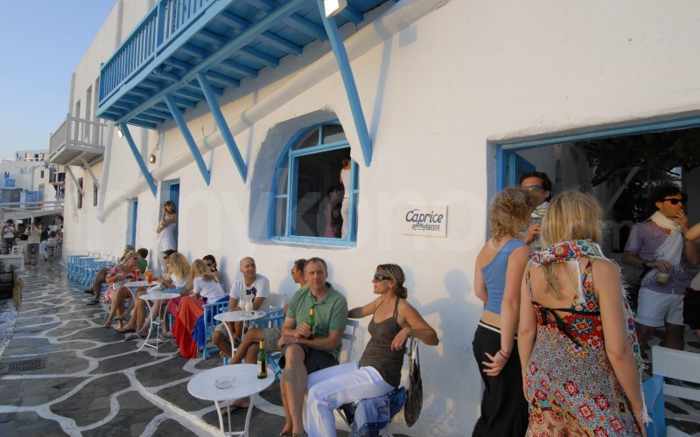 What crisis?” That’s a question many regular visitors to Mykonos will probably ask when they see the more than 100 new and completely-renovated businesses that have opened on the island this year. 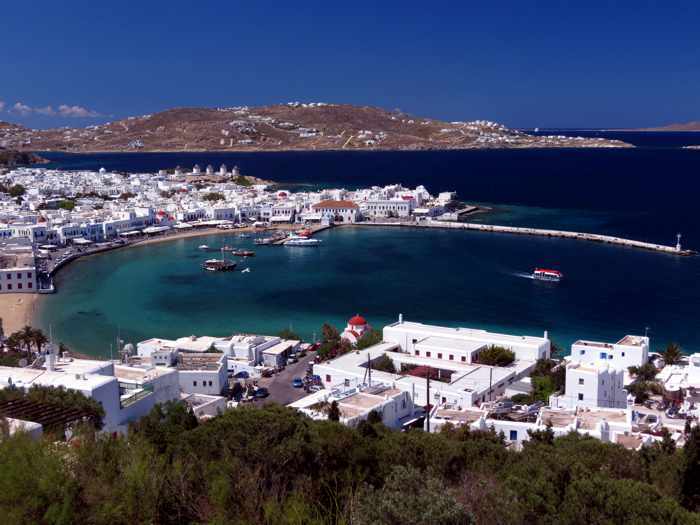 While Greece shudders through its sixth straight year of devastating economic turbulence, Mykonos appears to be in a different world altogether, virtually unscathed from the recession that has ravaged the rest of the country. Last year, the island enjoyed a record year for tourism — receiving more than 2 million visitors — and some longtime local residents told me they could not recall ever seeing the island as crowded and busy as it was during July and August. 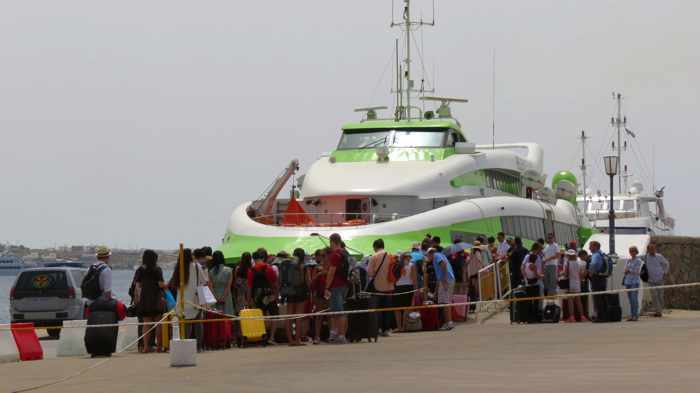 Hotels were filled to capacity, flotillas of luxury yachts were common sights at many beaches, and champagne flowed by the caseload at bars and restaurants across the island. As I reported in a July 16 2014 post, hotel rates reached higher levels, too, with the international online travel firm Trivago noting that prices had soared as much as 61% over the previous year. In anticipation that even more tourists with thick wallets will arrive in 2015, local and international companies have been pouring millions of Euros into the construction of new hotels, shops, bars, clubs and restaurants, as well as the renovation or upgrading of existing properties. 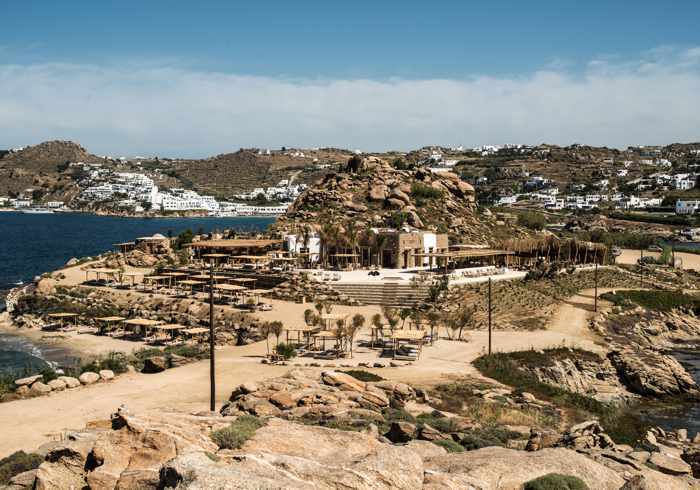 Indeed, since late last autumn, Mykonos has been experiencing an unprecedented building boom as small armies of contractors swarmed around the island in a rush to finish dozens of projects. 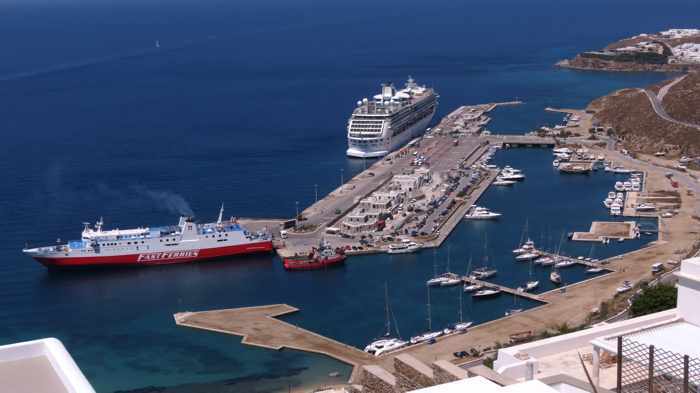 Global business brands flocked to the island in droves, scooping up any available real estate for their new Mykonos outlets. With many of the new enterprises aimed at affluent travellers, Mykonos mayor Konstantinos Koukas has told local media he’s confident that the island is now well-poised to compete for a bigger share of the the world’s luxury travel market, and will successfully lure big spenders who usually flock to other Mediterranean hotspots like St Tropez, Monaco and Ibiza. Click here for page 2 to read about new and newly-renovated restaurants in Mykonos Town, Tourlos, and the Ano Mera area. Click here for page 3, which describes new and renovated beach restaurants, as well as the island’s two big new beach clubs, Monarch and Scorpios. Click here for page 5, which introduces you to the island’s new spas, retail shopping establishments, and hotels. 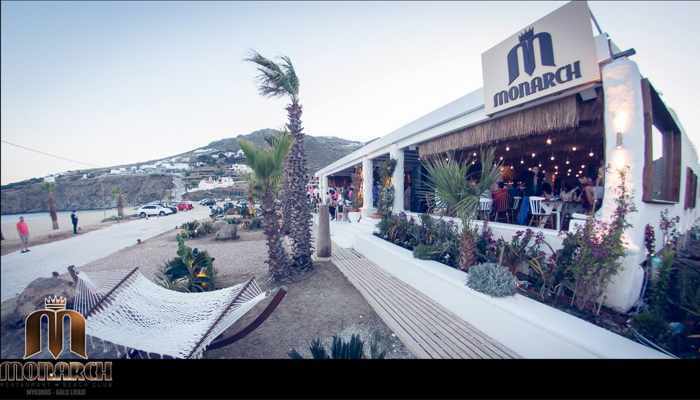 More than two dozen new restaurants opened on Mykonos for 2015, and five of them can be found under one roof at the Food Mall Mykonos on the highway between Mykonos Town and Ano Mera. 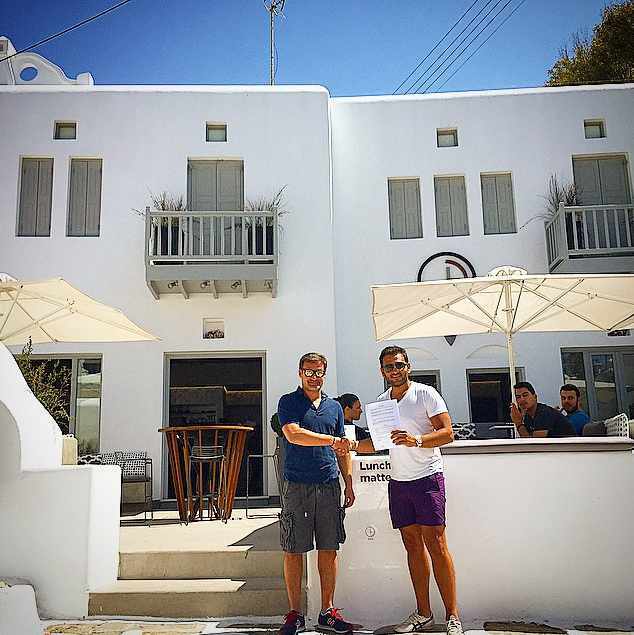 Widely recognized as the hippest new beach club on Mykonos for 2015, the Scorpios Beach Restaurant and Bar became one of the most popular places on the island within weeks of its opening in an “idyllic haven” on a peninsula between Paraga and Platis Gialos. Another new beach club and restaurant is Monarch at Kalo Livadi, which boasts cuisine designed by a Michelin-starred chef, comfy beachfront lounge chairs, and occasional special events and big parties. 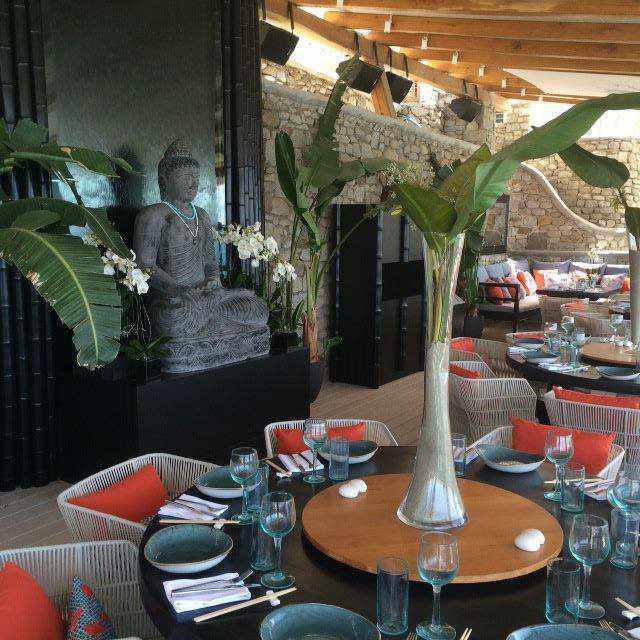 The world’s first Buddha-Bar Beach restaurant, bar and beach club opened on May 20 at the Santa Marina Resort at Ornos. 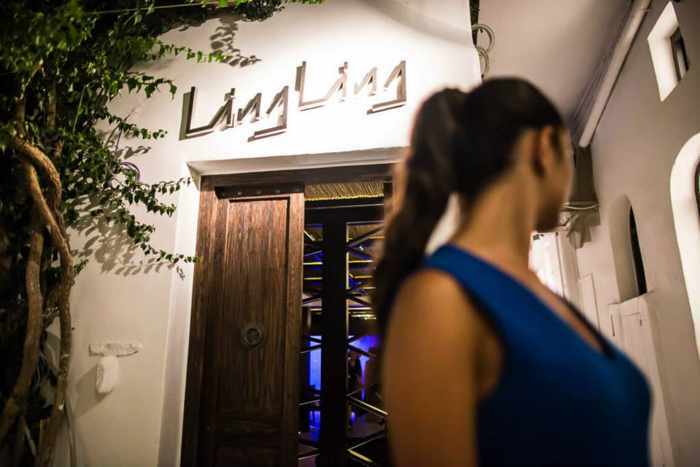 One of the most eagerly awaited new arrivals on Mykonos was Ling Ling, a Hakkasan-branded Cantonese fine dining restaurant and uber-chic nightspot. It opened in July in the premises that had been occupied for decades by the famous Philippi Garden Restaurant, which closed a few years ago after its owner died. June 27 saw the launch of yet another new nightclub when Bonbonniere Mykonos threw its opening party in the ODE Mykonos club in the Tria Pigadia area of Mykonos Town. It’s a summer “pop up” version of the world-famous Bonbonniere club in London whose owner, Joe Fournier (wearing the white polo shirt) is pictured after signing a contract to bring Bonbonniere to the ODE space for the season. Mykonos residents and visitors weren’t just buzzing about new business openings this spring — people were also chatting about the abrupt closure of the enormously popular Caprice Bar (pictured above) and its surprise reopening a few weeks later as Caprice, a restaurant-bar located just a few doors down from its old place at Little Venice. Mykonos No.5 Villas is one of the island’s newest hotels, offering a selection of seaview apartment residences, lofts and maisonettes in the Kanalia district 3.5 kilometers from Mykonos Town. 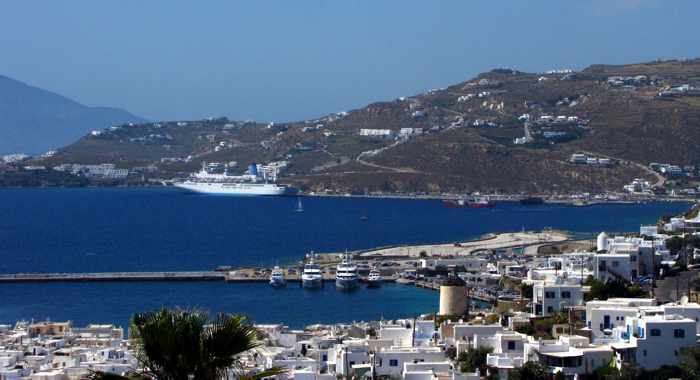 The view from the hill: A panoramic view of Mykonos Town and its harbourfront and Old Port areas on May 21 2012. Click on the photo to view the image in a larger format. Familiar patterns: Things weren’t looking very promising for my final full day on Mykonos. The weird up-and-down weather hit another “down” cycle, bringing overcast skies in the wake of a gorgeous sunny Sunday. Good thing I had not been planning another beach day, because I would have felt pretty bummed out by all the clouds and the threat of light rain. But I didn’t need more beach time and was content just to start walking and see where I would wind up.